The rise of Islamist militancy, once a fear, is a reality now, 34 years after the August 15 carnage. During the BNP-Jamaat-led rule in 2001-2006, Islamist outfits spread tentacles across the country thanks to patronage from some influential leaders of the ruling alliance. Though the BNP government woke up to the dangers of militancy towards the end of its tenure, it was too little too late. Now the task lies with Awami League-led grand alliance that came to power on promises that include the one to root out militancy. And at the centre stage in the combat against militancy is Prime Minister Sheikh Hasina, who herself had been the target of several attacks. Now the peoples of Bangladesh have don't want to bother any late to execute the killers of Bangabondhu. In the same time we want to see immediately the constitution of 1972 which was made after our independence. We want to see to our loving country Bangladesh as an actual democratic country, there will have rule of law, good governance, enough food for our poor peoples, nutrition for all children's, there have no discrimination. War of 1971 against the Pakistanis. He was imprisoned more than a decade during the 24-years of Pakistani rule. What the Pakistanis could not do, some corrupt military officers were able to do so in our own soil. They killed Bangabandhu along with most of his extended family in August 15, 1975, just after 3 and 1/2 years of independence. Two of his daughters, Shiekh Hasina and Sheikh Rehana, survived. 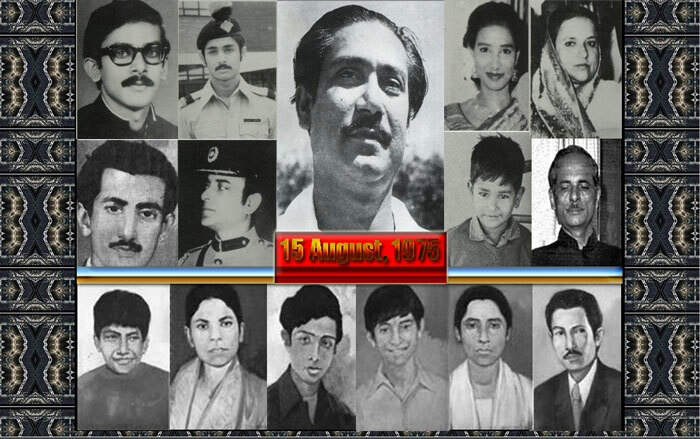 In November 4, 1975, they killed 4 national leaders, cornerstone of our Liberation War: Syed Nazrul Islam, Taz Uddin Ahmed, Captain Mansoor Ali, and Kamrujjaman.Without a doubt, Bangabandhu is the greatest Bangalee of our known history. He gave us a nation, a new country, a new identity. Even today, he is more powerful as dead than anyone of us alive. This Sheikh Mujib is not just a mere individual or a name. He in an institution. A movement. A revolution. An upsurge. A tidal boar. A Lenin, a Mao, a Netaji, a Gandhi, a Fidel, a Kemal… He is the essence of epic, poetry and history. He is the architect of a nation – the Bengali Nation. He is Bangabandhu – friend of Bengalis.The history of Bengali Nation goes back a thousand years. 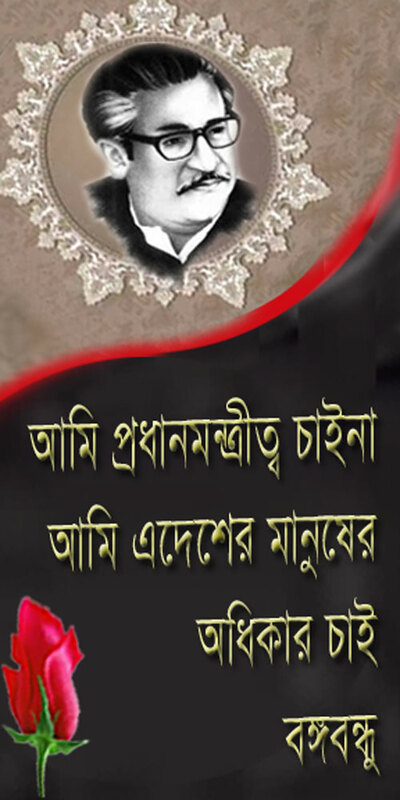 That is why contemporary history has recognised him as the greatest Bengali of the thousand years. The future will call him the idol of eternal time. And he will live, in luminosity of a bright star, in annals of historical legends. He will show the path to the Bengali Nation that his dreams are the basis of the existence of any nation struggling for freedom. 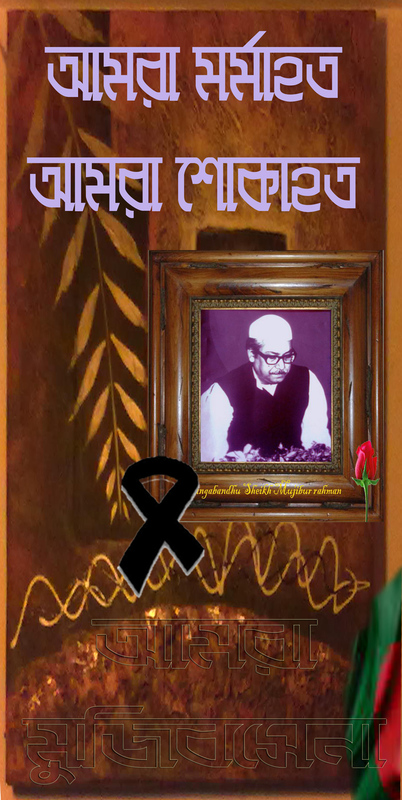 A remembrance of him is the culture and the society that Bengalis have sketched for themselves. His possibilities, the promises put forth by him, are the fountain-spring of the civilised existence of the Bengalis. and other nationalist leaders put up stiff resistance against it and were detained for years together.In 1961 Bangabandhu was released from jail after he won a writ petition in the High Court. Then he started underground political activities against the martial law regime and dictator Ayub Khan. 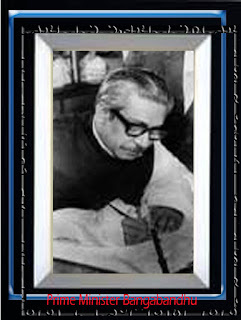 During this period he set up an underground organisation called “Swadhin Bangia Biplobi Parishad” or Independent Bangia Revolutionary Council, comprising outstanding student leaders in order to work for achieving independent Bangladesh.Keeping the essence of Swadhin Bangladesh, Bangabandhu placed his historic Six-Points in 1966. He called for a federal state structure for Pakistan and full autonomy for Bangladesh with a parliamentary democratic system. The Six-Points became so popular in a short while that it was turned into the Charter of Freedom for the Bengalis or their Magna Carta. The Army Junta of Pakistan threatened to use the language of weapons against the Six-Point movement and the Bangabandhu was arrested under the Defence Rules on May 8, 1966. To subdue him, Bangabandhu was charged with secession and high treason, which was known as the infamous Agartala Conspiracy Case. But mass people burst into upsurge against his arrest.With the defeat of Ayub Khan regime in 1969 in a mass-upsurge which led to the unconditional withdrawal Agartala conspiracy case, Bangabandhu had become an undisputed, home grown hero for the Bengali nation. People’s admiration to his unfathomable courage and yearning for his guidance convinced that he was the friend of Bengal. They then start calling him Bangabandhu. 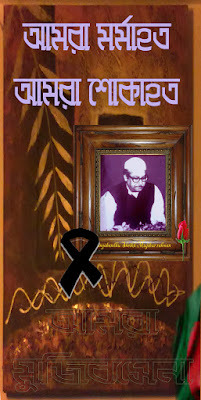 The torch of politics Bengali Nation was truly and irreversibly in his hands. He would carry it ahead, undaunted in his determination to transform the destiny of his people to make Shonar Bangla.Bangabandhu’s finest hour came on 7th March 1971. His historic speech on that day changed the course of the history of struggle for independence in the then Pakistan and gave millions of Bengalis a new sense of direction. Bangabandhu possessed the rare quality of harnessing the awesome power of the masses that overthrew the military regime standing in the way of Bangladesh’s liberation.He declared in his speech, “The struggle now is the struggle for our emancipation; the struggle now is the struggle for our independence.” In this historic speech, Bangabandhu urged the nation to break the shackles of subjugation and declared, “Since we have given blood, we will give more blood. The people of this country will be liberated Inshallah. He called upon people to turn every house into a fortress with whatever they had to fight the enemy.He advised the people to prepare themselves for a guerrilla war against the enemy. He asked the people to start a total non-cooperation movement against the government of Yahya Khan. There were ineffectual orders from Yahya Khan on the one hand, while the nation, on the other hand, received directives from Bangabandhu’s Road 32 residence. 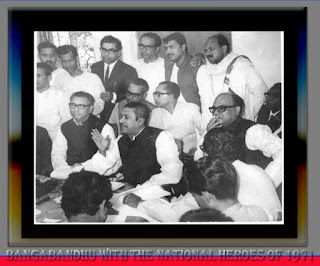 The entire nation carried out Bangabandhu’s instructions. All institutions, including government offices, banks, insurance companies, schools, colleges, mills and factories obeyed Bangabandhu’s directives. The response of the Bengalis to Bangabandhu’s call was unparallel in history. 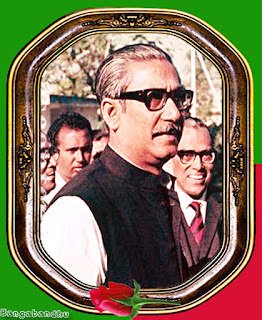 It was Bangabandhu who conducted the administration of an independent Bangladesh from March 7 to March 25.Another finest hour for Bangabandhu was when he declared independence of Bangladesh and all-out guerrilla war began against the Pakistani oppressive regime. In his declaration he said, “This may be my last message. From today Bangladesh is independent. I call upon the people of Bangladesh, wherever you are and with whatever you have, to resist the army of occupation to the last. Your fight must go on until the last soldier of the Pakistan occupation army is expelled from the soil of Bangladesh and final victory is achieved.”And the victory achieved on the 16th December 1971 – a dream comes true for Bangabandhu. Thousands of people sacrificed their lives in the name of Bangabandhu. It was his political inspiration and moral persuasion that made mass people to embrace martyrdom in Bangabandhu’s name. The quest for his independence became synonymous with his title “Bangabandhu”. And eventually he embraced martyrdom on the 15th August 1975 for the Bengali Nation. The multifaceted life any great man cannot be put together in language or colour. 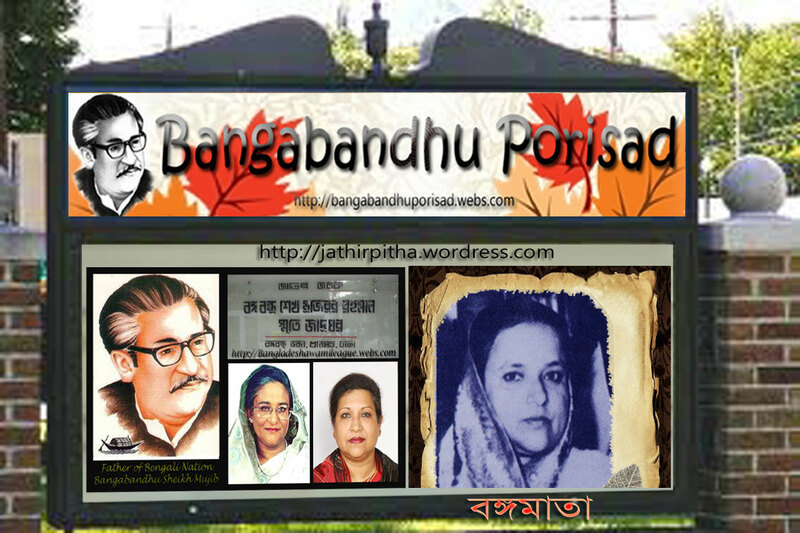 Bangabandhu was such a great man that he has become greater than his creation. It is not possible to hold him within the confines of picture-frame when his greatness is so unfathomable. He is our emancipation – for today and tomorrow. The greatest treasure of the Bengali nation is preservation of his heritage and sustenance of his legacy. He has conquered death. His memory is our passage to the days that are to be. [Shazzad Khan works for Manusher Jonno Foundation] Bangabandhu Sheikh Mujibur Rahman and his family members apart, a number of people were murdered in three separate incidents on August 15, 1975, but no effective move has yet been made to bring the guilty to justice.Disgruntled army personnel killed Sheikh Mujib's nephew Sheikh Fazlul Haque Moni, founding chairman of Awami Jubo League, and wife Arzu Moni at their Dhanmondi home. Mujib's brother-in-law Abdur Rab Serniabat, former water resources minister, was murdered at his Minto Road house.A mortar attack by a group of army men killed 14 other people in Mohammadpur, taking the death count to 34 on that fateful day.Three murder cases, separate from the killing of Bangabandhu, were filed in 1996, but they are still on the back burner.Law Minister Shafique Ahmed said he was unaware of the present status of the three cases. Those were the home ministry's concern, he added.Despite several attempts, Home Minister Sahara Khatun or State Minister for Home Shamsul Haque Tuku could not be reached yesterday for comment on the issue. Attorney General Mahbubey Alam said he would take steps to get the cases disposed of.Alam said he would soon ask the government to provide him with necessary documents to revive the cases. All cases involving the August 15 killings should be disposed of -- to bring the perpetrators to book, said the attorney general. In January, five condemned killers of the father of the nation were executed after a Supreme Court verdict in the Bangabandhu murder case filed in October 1996. A band of 25 to 30 army men surrounded Sheikh Moni's house-170 on Road 13/1 in Dhanmondi at around 1:30am on August 15, 1975. Carrying Sten gun and Chinese rifle, eight to ten of them in black uniform went up to the first floor and got down after firing shots. Moni's close aide Mohammad Shahabuddin, who was on the ground floor, went upstairs and saw Moni and his wife Arzu lying on the floor in a critical condition. Moni's parents, younger sister Sheikh Rekha and brother Sheikh Fazlul Karim Selim were sobbing.Sheikh Maruf, younger brother of Moni, turned up there. Arzu cried to Selim for help and asked him to save them and their two sons -- Sheikh Fazle Shams Porosh and Sheikh Fazle Noor Taposh. 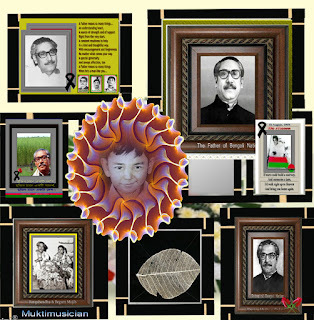 Shahabuddin, Selim and Maruf took Sheikh Moni and Arzu to Dhaka Medical College and Hospital where the doctors declared them dead, read the statement of the murder case filed by Shahabuddin with Dhanmondi Police Station on November 20, 1996. Sixteen people including former deputy minister Taheruddin Thakur were made accused in the case.Criminal Investigation Department (CID) gave the final report in the case on August 22, 2002 and had it dismissed in secrecy, ignoring the legal bindings. The Dhaka Chief Metropolitan Magistrate's Court on December 30, 2002 accepted the final report and acquitted all accused without notifying the complainant. Neither the investigation officer nor the court concerned informed the complainant about the fate of the probe. They went up to the first floor and broke the door. Confused, Serniabat made a phone call to the residence of Bangabandhu. The army officials rounded up the residents at the drawing room on the ground floor. Shahriar and Majed fired shots at them. Frightened Beauty Serniabat caught hold of her father Abdur Rab Serniabat. Shahriar Rashid, Aziz Pasha and Nurul Huda fired shots again and left the scene. Abdur Rab Serniabat, his nephew Shaheed Serniabat, daughter Baby Serniabat, son Arif Serniabat, grandson Babu Serniabat, who was four, domestic helps Potka and Laxmir Ma, and Abdur Naim Khan alias Rintu died on the spot. Abul Hasnat Abdullah, son of Abdur Rab Serniabat, survived hiding behind a door. Shahan Ara Begum, wife of Hasnat, her mother-in-law Amena Begum, brother-in-law Abul Khair Serniabat, sisters-in-law Beauty and Rina Serniabat, and domestic helps Rana, Rafiqul Islam, Lalit Das and Golam Mahmud were seriously injured, said the statement of a case filed by Shahan with Ramna Police Station on October 21, 1996. Eighteen people were charged with murder in the case. But the proceedings of the case were stayed by the High Court in November 1999 following a criminal revision filed by Bazlul Huda, one of the accused, against the order of charge framing. The stay order remains in force till date. Hearing cries, he went to a nearby house on Road-9 and found Rezia Begum, wife of the house owner, Musa, and their daughter Nasima dead. 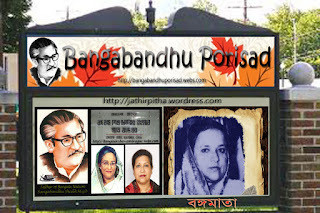 He then went to House-196 and 197 on Shahjahan Road in the area where he saw bodies of Habibur Rahman, Anwara Begum, another lady by the same name, Moyful Bibi, Sabera Begum, Abdullah, Rafiqul, Safia Khatun, Shahabuddin, Kasheda, Aminuddin and Honufa Bibi, all killed in mortar fire. Later he came to know that 14 people had been killed in Mohammadpur by mortar shells fired by a group of military personnel. He also learned that Bangabandhu and most of his family members were dead, Ali said in the statement of a case he filed with Mohammadpur Police Station on November 29, 1996 accusing Syed Farooq Rahman and 10 others. The case remains pending with the Fourth Additional Metropolitan Sessions Judge's Court in Dhaka.